The Conservative Party of New York State is calling upon Members of the New York State Assembly to oppose abortion-expanding legislation known as the “Reproductive Health Act” (A.1748-Glick). The bill is scheduled for Assembly Codes and Health Committee votes on January 17, 2017. A full floor vote is anticipated as well. Bill proponents suggest this legislation would simply align state law with federal law, but it goes much further. Language about “codifying Roe v. Wade” is typically used to reassure legislators and voters that various abortion proposals would not change the status quo, but would merely lend it added permanence. When it comes to the RHA, however, one point must be made abundantly clear: This bill goes far beyond Roe v. Wade. First, the RHA would expand abortion access in New York by empowering non-physicians to perform surgical abortions, including third-trimester abortions. Notably absent from the RHA is any justification for its proposal to empower non-physicians to perform surgical procedures on women and girls in New York, or any connection between that proposal and the promotion of women’s health. Allowing non-physicians to perform abortion procedures would display callous disregard for women’s health and safety. Existing court decisions make it clear that “health” exceptions like the one contained in the RHA create a significant loophole. Allowing late-term abortions based on a broad “health” exception effectively codifies the proposition that fully-formed infants may be aborted for any reason up until birth. 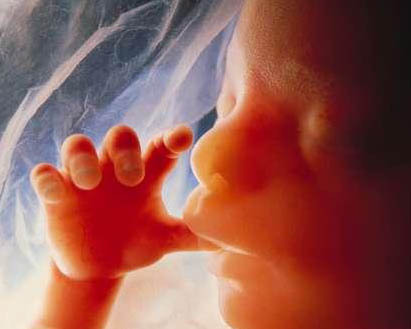 The proposed legislation obscures and ignores the fact that it is never medically necessary to abort a viable unborn child based upon danger to a mother’s life or medical health. In such circumstances, the wiser and safer approach—both for a mother and an unborn child—is for the child to be delivered alive. Furthermore, an open-ended late-term health exception would invite late-term abortionists to set up shop in New York. There can be no reasonable doubt that the Reproductive Health Act is an abortion expansion bill. The Livingston County Conservative Party joins the State Party in urging a no vote on this abortion-expanding legislation. On September 7, 2016, New York Attorney General Eric Schneiderman issued an opinion in which he creatively reinterpreted state law to allow third-trimester abortions under a broad “health” exception. (See https://ag.ny.gov/sites/default/files/abortion_opinion_2016-f1.pdf, last accessed January 17, 2017). According to Attorney General Eric Schneiderman’s opinion, a healthy and viable unborn baby may be legally aborted at any point during a pregnancy so long as a pregnant mother and her doctor can connect the abortion to the mother’s “health.” The RHA would expand upon Attorney General Schneiderman’s opinion by placing this broad “health” exception within New York’s statutes.